We’ve all been hearing for the last few years about how great interest rates are. 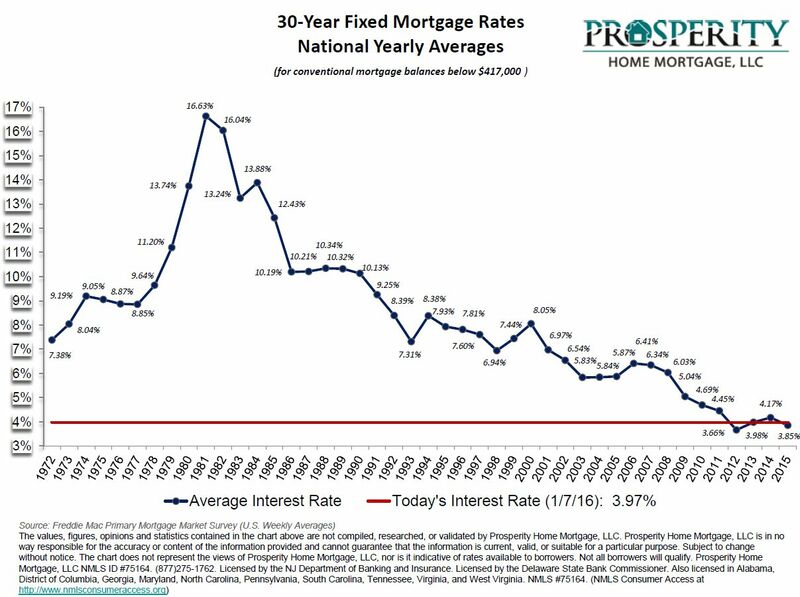 I thought I’d provide you a visual representation to give you some perspective on how today’s low interest rates compare to rates going back to 1972. For those people who have been thinking about buying, it’s substantially easier to make your monthly payment when you’re borrowing money at 4% than at any of the rates of the past 45 years. If you have any questions on how this can impact your home purchase decision, please feel free to give me a call.